Brush Calligraphy Save the Date wedding card Photoshop template for engaged couples to announce their wedding date. Hand written and simple. 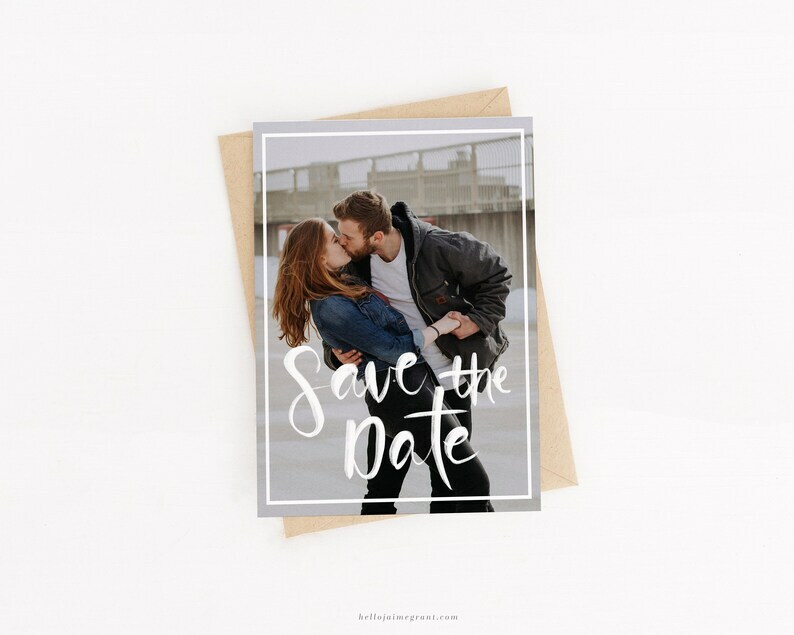 "Save the Date" handwritten in brush calligraphy is a beautiful and minimalist card template to announce your wedding date with. Sized at 5"x7" inches it can easily be printed through your favorite print companies. Clipping masks make completing your template a breeze. • Layered Adobe Photoshop (.PSD) template. 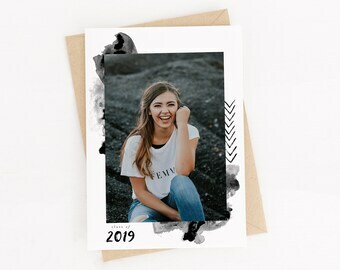 Template is clearly labeled with a group for front elements and back elements.